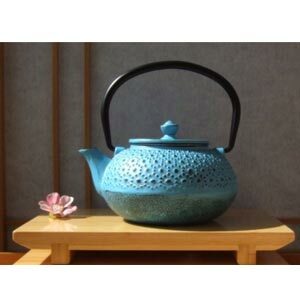 Teatime has never been more inviting than with the beautiful Teal Grand Teapot. It brews the perfect cup of morning or afternoon tea, keeps it hot and commands a bold presence on your table. The Grand Teapot has a tall elegant body and can double as a coffee pot for all your drinking needs. Le Creuset’s Teal Blue will look striking in any kitchen, from the modern to a classic setting, it’s certain to add the wow factor. It is fully enamelled and easy-to-clean, with a scratch resistant surface keeping it hygienic and free from absorbing odours & flavours. Each product is microwave, oven, freezer and dishwasher safe and made of hard wearing stoneware to resist staining, chipping and cracking. It will look as good as new every time you use it.